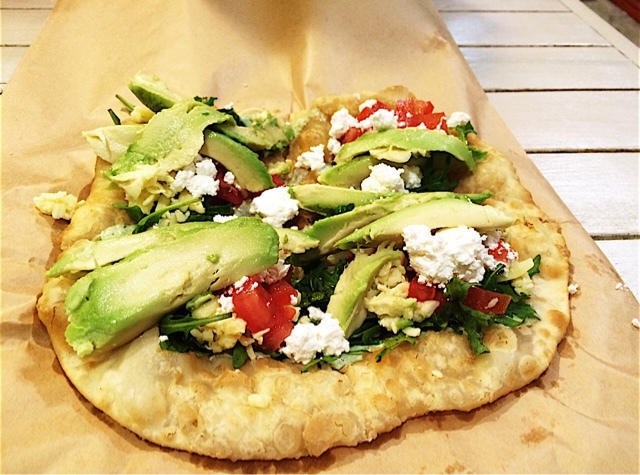 The city of Cape Town is one of the most beautiful places in the world, and also one of the tastiest. 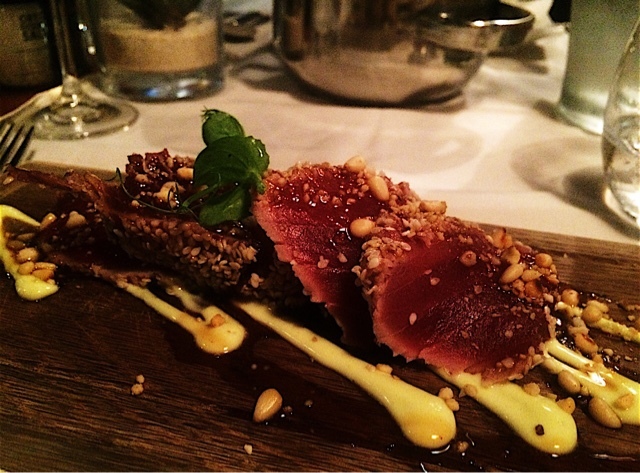 Named as The Telegraph's best city on the globe for 2015/16, and taking Conde Naste's award for the number one food city in the world, you can be fully assured that a trip to Cape Town will be fit to burst with the most incredible eating and drinking experiences you could possibly wish for. There is an enormous amount of places to choose from in order to satisfy that little tummy of yours, and one of the most popular areas to eat, drink and relax in, is the V&A Waterfront. Situated on the historical harbour, the Waterfront allows you to shop until you drop, dine out in a range of different places, listen to live music and even partake in a leisure activity or two, including riding on the Cape Town big wheel. Sevruga is one of the Waterfront's most premium restaurants and oh boy, it lives up to every expectation you could wish for. 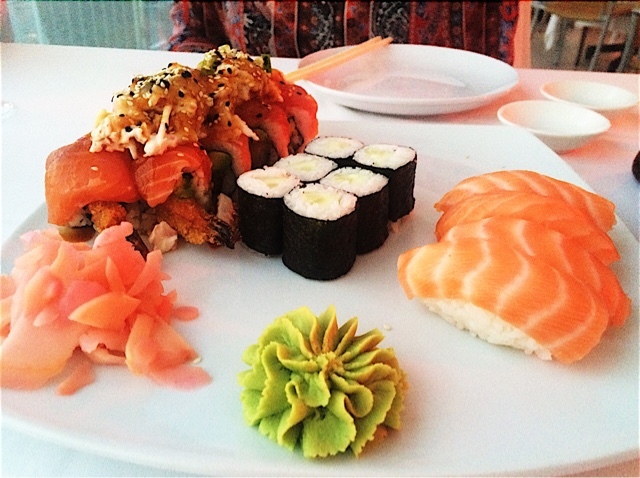 My personal favourite eatery at the Waterfront, Sevruga offers some of the very best sushi in Cape Town, with a huge range of choice including both singular dishes and special platters. 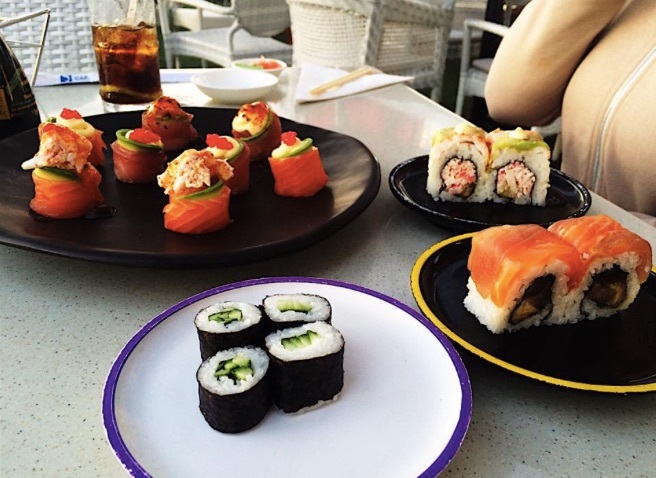 My personal favourites include 'prawn surprise' and 'Tokyo rainbow roll' and just when you think it can't get any better, sushi, dim sum and cocktails are all half price between 11:30am and 7pm - what more could you want! If you perhaps hadn't guessed already, I maybe enjoy a platter of sushi every now and again and when I saw that, I mean I could eat sushi every day for the rest of my life and be perfectly content. Whilst Cape Town Fish Market specialises in, wait for it, fish (! ), the range as well as the quality of their sushi in particular is really fantastic and is even served to the table, impeccably. Whether you want to relax outside and relish in the Cape Town sun or feel the sand between your toes in the inside 'beach area' of the restaurant, if you're a fish lover, you will certainly not be disappointed by this place. 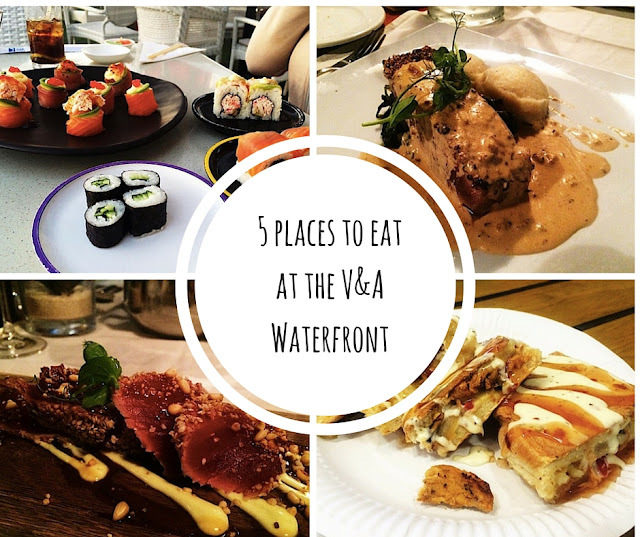 The place where foodies in Cape Town come to eat to much they feel physically ill, the V&A Waterfront Food Market is basically heaven for all those who take pleasure in eating...a lot. 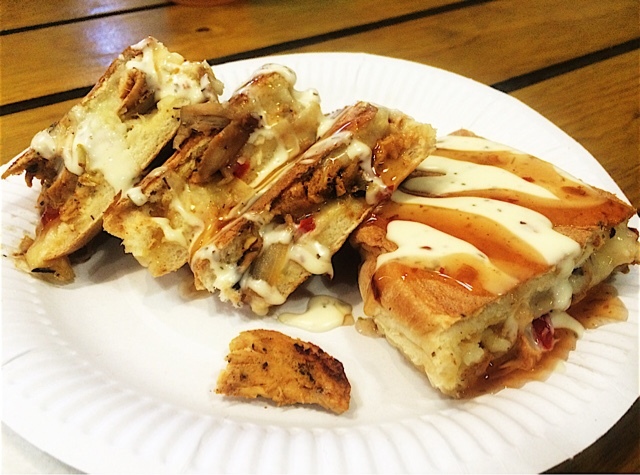 From coffee, frozen yoghurt and waffles to pulled pork burgers, burritos, oysters and biltong, you can literally find everything and anything in this place. With live music, a range of bars and a fab atmosphere, it's a great little place to spend a few hours and lose yourself in some seriously amazing food. 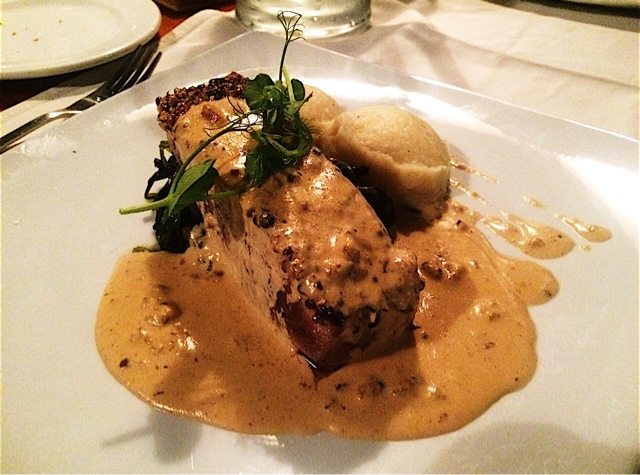 Mountain you could perhaps get, and serves a whole range of foods, from fish such as crayfish and tuna steak to meats such as sirloin steak, springbok and rabbit. With an extensive range of beers on offer imported from Belgium and a large wine menu, those who enjoy a tipple or three will be more than happy here although beware, as if you're wanting to sample a Kwak beer, the glass it is served in is so special that they request one of your shoes as deposit! 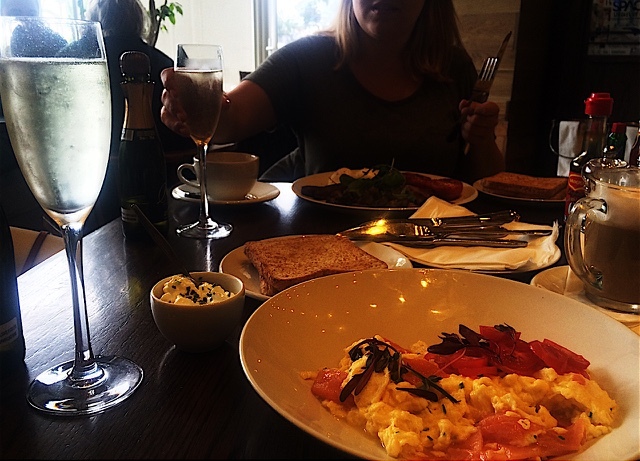 The perfect place for brunching, Tasha's is the eatery you want to find yourself in for all egg related dishes. If, like me, you are partial to a fabulous eggs benedict or 7, you will not be disappointed in the slightest, nor too by the lack of judgement received for ordering a glass of prosecco before 11am - our type of staff members, amirite? ?